The professionals at Ingles Accounting have many decades of experience between them and are completely committed to achieving the best outcomes for their clients. We are committed to working with all our clients to assist them in all areas of their business. Running of a self managed superannuation fund in a continually changing environment is challenging. Graeme Ingles in a registered company auditor and along with the other staff at Ingles Accounting has extensive experience in auditing. Ingles Accounting and taxation evolved from the accountancy practice originally established by Graeme Ingles in Tasmania in 1971. The practice rapidly expanded, employing staff and acquiring additional partners, opening an office on the Gold Coast in 1974. 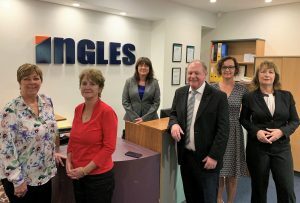 For the past 47 years Ingles Accounting has been providing accounting and taxation advice to its clients on the Gold Coast, throughout Australia and internationally. Graeme Ingles remains the Managing Director of the practice, supported by highly qualified team of professionals. Need Accounting + Taxation Help? Book a consultation with one of our highly skilled financial professionals who can get you back on track.